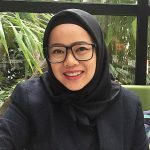 This article outlines the opportunities and impact of taking a collaborative approach to planning and reviewing the programme of inquiry with a learning community in an Indonesian context, while mapping its national curriculum requirements to the Primary Years Programme (PYP) scope and sequence documents. 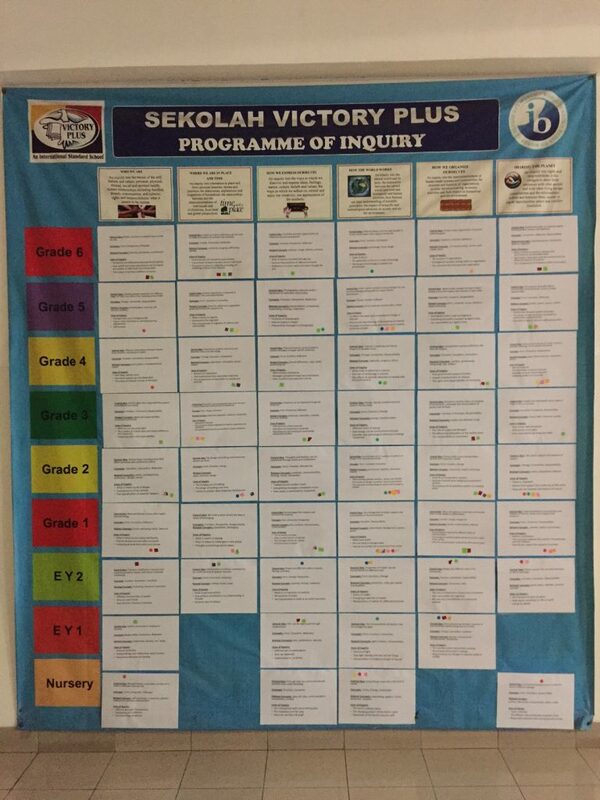 Sekolah Victory Plus implements the PYP alongside the Indonesian National Curriculum (INC). The INC scope and sequence is based on Kompetensi Inti (standards set for each year level) and Kompetensi Dasar (the minimum standard of knowledge, skills and attitudes in each subject). We consider the contents of the INC and embed them in our programme of inquiry where possible. 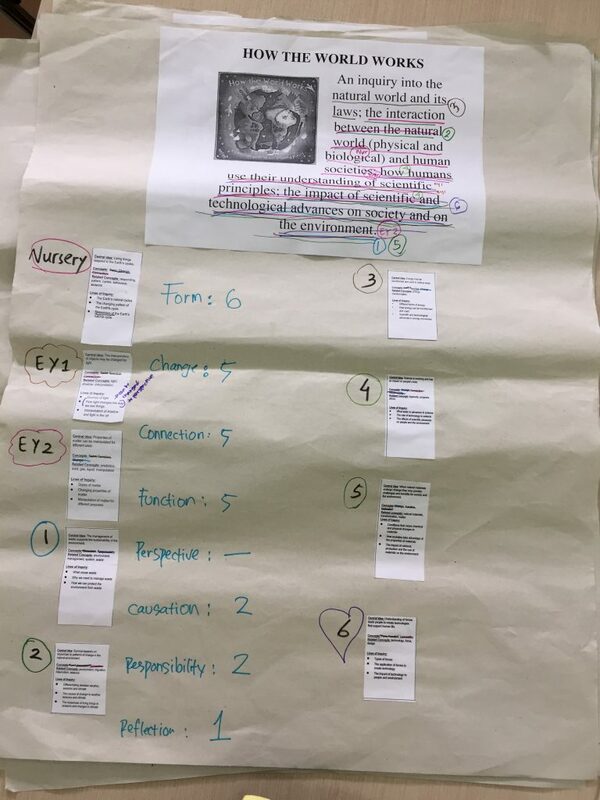 Formal planning with all teachers happens at the beginning, middle and the end of a unit of inquiry. Single-subject teachers negotiate with year-level teachers on how their subjects can either drive or support a unit of inquiry. We also allocate time for collaborative planning every week, modifying the student timetable so that inquiries end 30 minutes earlier that day. All our planning materials are shared in Google Drive to make collaboration visible. Collaboration with members of the learning community is key to providing authentic learning experiences and helping students make connections to their learning in the wider world. We collaborate with our Parent Support Group to identify family members who can help develop our units of inquiry based on their expertise. We also create opportunities for students to learn through the wider community, including outreach and excursions beyond school to get information from primary sources. The learning from these community connections feeds back into the review of our programme of inquiry for the following year. 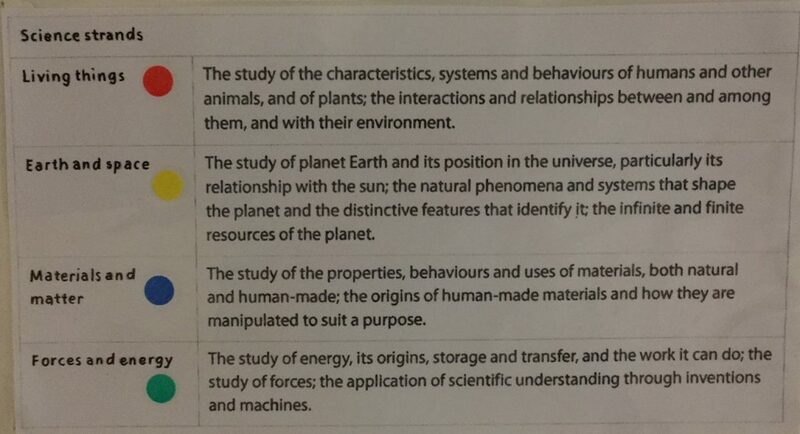 The Indonesian National Curriculum focuses more on topic-based learning, whereas the PYP promotes transdisciplinary learning across, between and beyond subjects. We are always looking for ways to embed the national curriculum and local cultures and beliefs within our programme of inquiry. 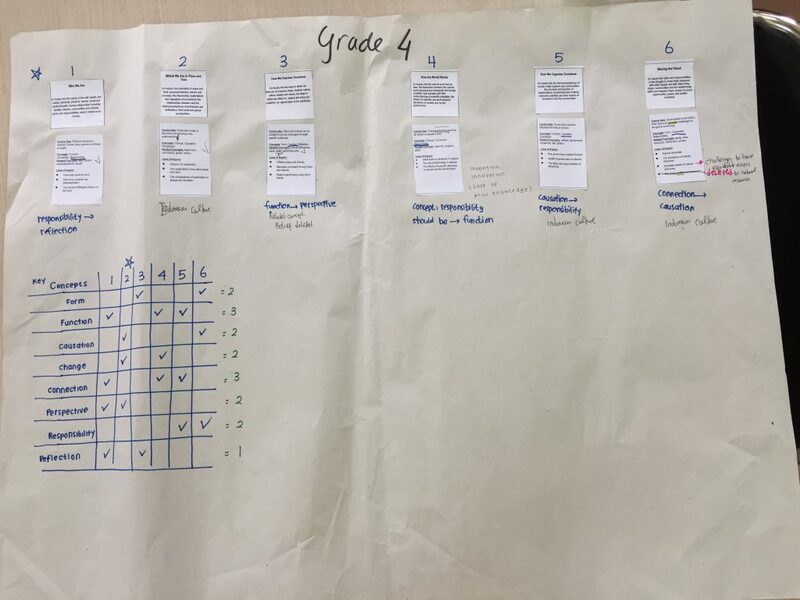 We take a whole school approach when reviewing and refining our programme of inquiry, looking for horizontal alignment under each theme, and checking for repetitions or omissions through vertical alignment. We review and revise the central ideas based on tips for writing clear and powerful generalizations (Erickson, 2006). We have found these helpful in reflecting on and strengthening our central ideas. 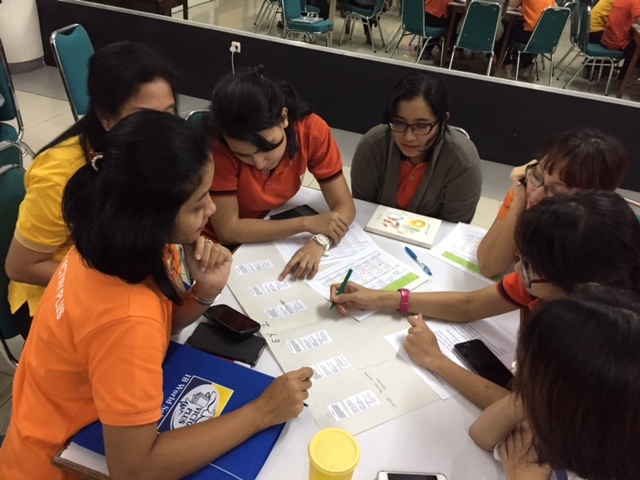 Year-level teachers meet to analyze key and related concepts for horizontal alignment to look for ways to embed Indonesian culture, and to look for any repetition or overlap between units and this impact on student learning. Year-level teachers meet to analyze for vertical alignment. This discussion includes the descriptors of the transdisciplinary themes, a balance of key concepts and inclusion of all PYP subjects each year. Teachers meet to discuss mapping the PYP and INC subject-specific scope and sequence documents. 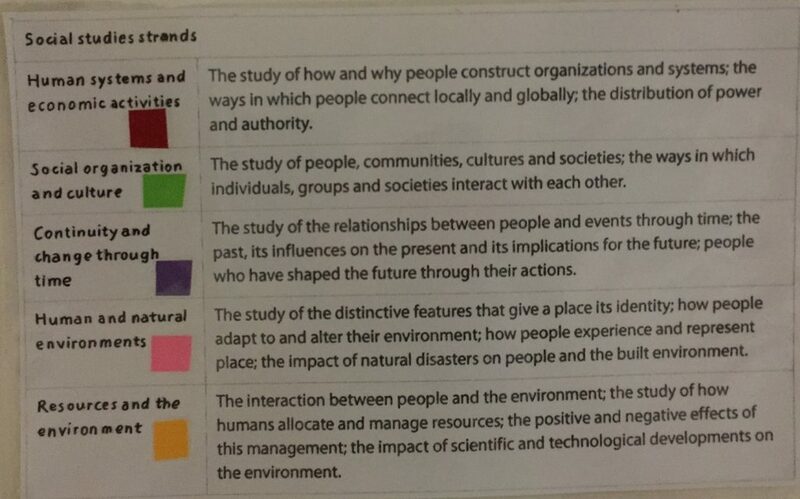 We colour-code the subject strands and analyze the programme of inquiry for depth and breadth of learning. We take the skills from INC and integrate them into our curriculum mapping document. Upper grade students co-create assessment criteria for each central idea; their reflections on learning feed back into our review of the programme of inquiry. a greater sense of agency as their reflections feed back into the planning process. Our process for reviewing the programme of inquiry is constantly evolving, based on our feedback and learning from collaboration. Our next step is to find ways to further involve students to ensure they have choice, voice and ownership in their learning. 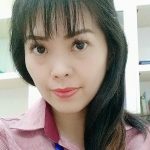 Fifi Anggraini (Aini) is the school academic coordinator who coordinates the curriculum continuum from PYP, MYP and DP at Sekolah Victory Plus, an IB World School in Bekasi, Indonesia. She has been a PYP educator for 17 years and a PYP coordinator since 2003. Fifi has been a member of the IB Educator Network (IBEN) since 2008 as a face to face workshop leader, online workshop leader and a school visiting team member. Her passion is to develop a better education for everyone. She tweets at @fifiaini. Early Hapsari is also the PYP coordinator at Sekolah Victory Plus. She has been a PYP educator for more than 10 years and is a face to face and online workshop leader. You can follow her on Twitter @earlyhapsari. Your can follow Sekolah Victory Plus on Twitter at @victoryplus. Thanks for sharing and awesomely helpful. Thanks for sharing the valuable info as we plan to review and revise our POI soon.